Fostering a child is a beautiful experience. Being there for a kid during a rocky part of their life is filled with rewards. 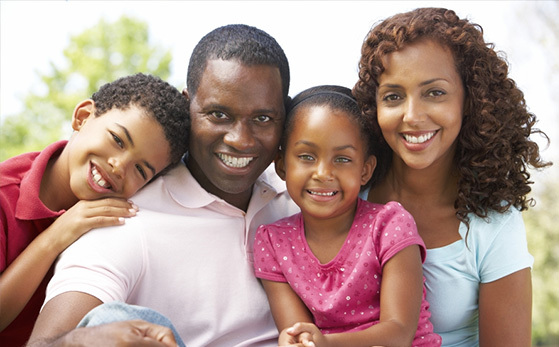 If you are looking to foster to adopt in Pennsylvania, talk to our team. We always welcome new foster parents into our community. Our goal is to place children into safe, loving homes where they are able to receive the nurturing and guidance they need. Fostering a child can go beyond a temporary situation as well. If you have been thinking about adopting a child, consider our foster to adopt program. Although fostering a child is a rewarding experience, it can come with challenges, just as any relationship can. 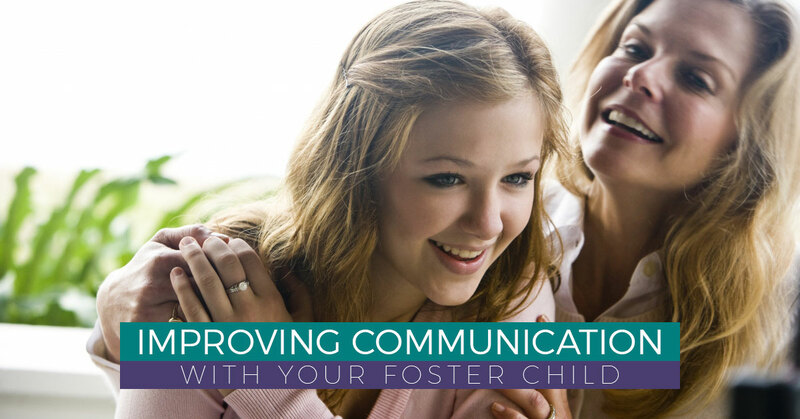 One way you can work to improve your relationship with your foster child is to improve your communication skills. Developing stronger communication skills will serve you well in all arenas of your life. The first way you can improve your communication with your foster child, no matter what their age, is to simply slow down. Don’t surf your phone, or watch TV while you are speaking with your child. Take the time to slow down and spend quality time in conversation with them. Not only should you take the time to focus on your child, slow down the conversation as well. All too frequently, we tend as humans to chime in with our own thoughts before the other person has a chance to finish their thought. This can be extremely frustrating for children, particularly if they are struggling with clear communication already. Be patient. Give your child an extra minute to gather their thoughts and fully express themselves. This will make them less frustrated, and it will demonstrate to them that listening to the other person is an important part of conversation. When you are talking to your child, treat them with the same respect you would an adult. No matter if the child is seven years old or 17 years old, value their thoughts. Not only should you ensure they know you value what they have to say, speak to them with respect. Don’t talk down to children. Although they are not yet adults, they are likely more in tune to what is going on around them than you may realize. It can be very frustrating for children to feel as if adults look down upon them and belittle them in their speech. Obviously younger children may not understand high level vocabulary, but they will understand respectful conversations in which they are allowed to contribute as an equal. Sometimes children will tell stories that simply don’t make sense. Many kids who come from difficult backgrounds will resort to survival tactics they have learned which may include lying, fabricating stories, or living in their own imagination. Be patient. Although it is important to tackle issues such as lying and telling tall tales, never do so in a way that is cruel. Refrain from statements that tear down the child. For example, instead of saying, “You’re being stupid, that doesn’t make sense,” ask questions to clarify what they are saying. Think of it from your own perspective. If you were worried about your spouse’s reaction to something and so you twisted the truth, the conflict would not be resolved if your spouse called you stupid. How would you want to be confronted? Children deserve the same level of respect. If you find conversations often become heated between you and your foster child, practice taking time-outs. This will benefit both of you. 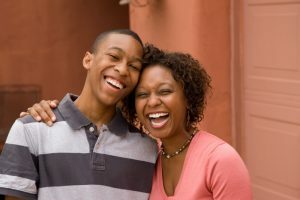 It will also teach your foster child invaluable communication skills for conflicts they face in future relationships. If you find yourself getting upset, or you notice your child’s level of frustration rising, ask for a break. Never walk away and stonewall the child, this is manipulative. Simply state calmly, “I need a few minutes to calm down. Let’s meet back in the living room in 10 minutes to talk about this.” When taking a break in a heated conversation, it is extremely important that both parties understand this is simply a cooling off period. Having a concrete time you can reconvene will put your foster child’s mind at ease. Many children in our foster program have had family abandon them, so it is important you never storm away, leaving them uncertain of your return. If you are interested in our foster to adopt program, reach out to our team. We are dedicated to helping children find a loving home where they can grow in a safe environment. If you think your family would be a great fit for a child in need, please contact us today.